So, you want to change up the roof on your home. This can be a great way to gain a new look for your property, especially when you trust in the right professionals for roofing in Fort Myers. While you may have made the decision for a new roof, you might still be up in the air about what type of materials you want your roofers to use. There are some great choices out there, and it is important to know what each can bring to you home. Metal roofs are a popular choice for many homeowners. The durability of metal makes it an excellent option, as it can provide an extra level of protection for your home. Beyond this, metal is great at resisting heat which can wind up saving you a bit of money on your monthly energy bills. When you live in a particularly warm climate, clay tiles can make for a great choice. This material is known to last much longer than other options that are available. While clay does not offer a wide range of design choices, it can easily help to protect a home from an incredibly hot summer. There are many different types of shingles that are available on the marketplace. Laminated fiberglass is one of the most common choices for homeowners who are looking for shingles for their roof. These shingles are easy to maintain and are much more affordable than some options. Laminated fiberglass shingles are also a good choice for roofing in Fort Myers because they come in a variety of colors that are sure to match any home. It can be beneficial to know the pros and cons of each material available for your roof. Speak with professionals and you will easily be able to make an informed decision that will lead you to the best possible new roof for your home. The roof of your home represents a huge part of your investment. 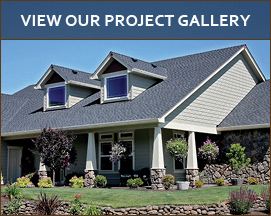 When it's time for repairs or replacement, choosing a roofing professional is important. Below are five questions to ask your roofer. 1. Do You Use Subcontractors? Although there are plenty of reliable and dedicated contractors out there, when you hire a roofing company, you want to make sure that it is their expertise and reputation that they are putting on the line. Make sure they know every person who will be working on your roof. Most roofing materials are backed by a manufacturer's warranty, but this only covers the materials as long as they are installed correctly. Find a company that will stand behind their work by offering a workmanship warranty. 3. How Long Have You Been In Business in My City? Unfortunately, there are unscrupulous contractors who will take advantage of a natural disaster to make a quick buck but will be long gone when it comes time to stand behind their work. Make sure to verify that you're dealing with a company that has a solid reputation in your area. Working on a roof can be dangerous, and the last thing you need is for your homeowner's policy to take the hit if an accident happens. A trustworthy company will have worker's compensation and liability insurance that covers their employees while they are working on your home. Checking that your roofer's license is up to date with no unresolved violations is one more step towards establishing his credibility. Selecting the right roofer for your home should be the beginning of a trusting relationship, and a trustworthy contractor will be happy to answer your questions and discuss your concerns. 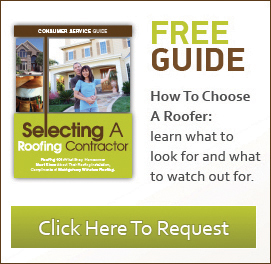 With just a little research, you'll be sure to find the best roofer for your home.